Why Do Players Take A Knee On Kickoff? Mostly every professional or college game, we see a player catch the football and take a knee in the end zone. Why do players take a knee in the end zone when catching a return? It officially “downs” the football and ends the play. If a returner doesn’t down the ball, it’s expected that he will run it out of the end zone. Need an example? We have the perfect one. Take a look at the videos below! What Happens If A Returner Doesn’t Down The Football? This week we feature two NCAA teams, South Carolina State and Clemson University. In this clip, Clemson will kick to South Carolina State and South Carolina State will assume they have just taken a touchback on the kickoff. They are missing a few things for it to be considered a touchback. The South Carolina State player will receive the ball and flip it back to the referee in the end zone. The player has not crossed the goal line or made any effort to down the ball. We pause the film at the point of when the ball hits the ground and we ask, what’s the call? Is it a touchback or a fumble? Before you read below – let’s hear your answer in the comment section and see if you get it right! In this clip, we see a South Carolina St. returner catch the ball in the end zone and before he takes a knee, he flips the ball to the referee and begins to walk away. What he doesn’t realize, is this is a live ball and not a touchback on the kickoff.. There are 2 ways for a touchback on the kickoff to be initiated by the referee according to the NCAA rule committee..
A touchback can happen in a few ways. Let’s start by looking how a player will “down” the ball by taking a knee. responsible for the ball being there (Rules 7-2-4-c) (A.R. 7-2-4-I, A.R. As shown in the clip above, because the returner does not officially “down” the football ( take a knee) the referee assumes that he is going to take the ball out of the end zone. In order to officially end the play and take a touch back, he would either need to take a knee or run out of the back of the end zone. Taking a knee isn’t the only way to initiate a touchback on the kickoff. All these scenarios are valid if the returner does not touch the ball in play. Once the returner touches the ball in the field of play, the ball is ruled “live” and can’t be ruled a touchback. If a player tries to catch the football at the 2 yard line, muffs it, then tries to kneel it in the end zone, it would result in a safety. To clarify – A player can not touch the ball in the field of play (on any yard line) then expect to “down” the football in the end zone. This will result in a safety every single time. Another scenario we often see, is when a player catches the ball in the end zone, decides they want to take it out, get to the 1 yard line then last second decide they want to kneel it for a touch back. Once a player crosses the goal line, the ball is officially in play and will result in a safety if they try to kneel it or go out of the back of the end zone. The same scenario applies if a player catches the football cleanly, takes it out of the end zone, then tries to reverse field (and goes backwards into the end zone) and either gets tackled or pushed out of the end zone. This is common for skill players who make big plays by making defenders miss laterally. He unfortunately chooses C, throw the ball backwards toward the referee. The returner did not successfully “down” the ball, so therefore the ball is still in play and is counted as a “lateral”. As noted in the video, this is also a great job by the referee letting the ball drop and continuing play, not just calling it a touchback on the kickoff automatically. Big credit to the Clemson Tigers (as well as the Clemson coaching staff) for running all 110 yards to finish out this play. We often see players on kickoff start to jog when they see a touchback is going to take place. The Clemson player is able to get all the way down the field and jump on the ball for a touchdown. Quite possibly the easiest touchdown Clemson will score in their program history! What was your initial answer? Did you get the call? Let us know in the comment section below on your interpretation of the rule. 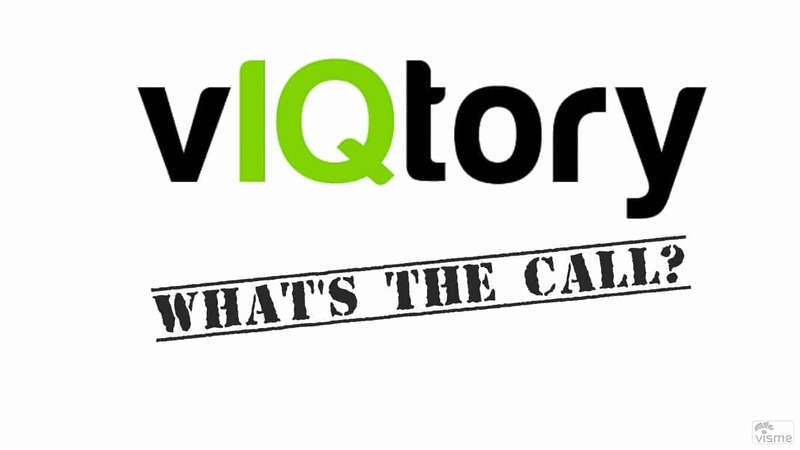 Be sure to check back for our weekly “What’s The Call” segment!